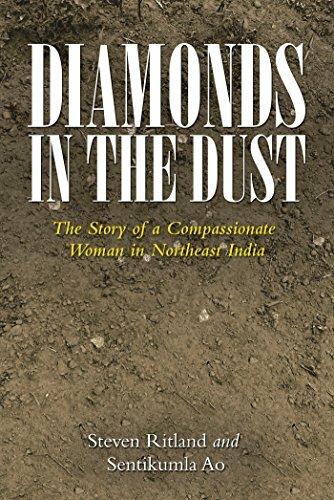 Diamonds in the Dust: The Story of a Compassionate Woman in Northeast India by Steven Ritland and Sentikumla Ao reflects the missionary work of Sentikumla Ao. Mrs. Ao's grandfather worked with the famous Rev. Edwin Clark, whose missionary work in the early 1900's to the Nagas created the only state in India where Christians form 90% of the population. 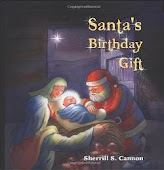 Her biography presents her work that continued his work and was God’s call on her life. Revealing God’s love for the unwanted, the broken and the addicts in the farthest remote region of India – a separate state known as Nagaland. Sentikumla's ministry focuses on rehabilitating victims of drugs, alcohol and HIV/AIDS, overflowing from Nagaland into the neighboring state of India, Assam. By God’s grace in action and the “unrelenting” love of God, this book reveals a completely surrendered life of serving God selflessly. Reflecting the heart of God, seeking the lost and those outcasts the world rejects, this book is a tribute to God, to missionary work and to those who completely yield their life to whole-heartedly serving the Lord – no matter the cost. 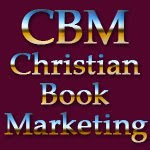 You will see in this biography the Word of God come to life. Make no mistake, there is sacrifice and pain, but the joy, the peace, and the rewards outweigh all that are available on Earth. If you are thinking about living a transformed life or missionary work, this is a book that portrays the grace of God in such a unique way. 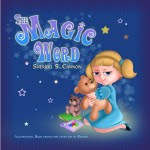 Sharing her life story, the missionary, Sentikumla and Steven Ritland have put together this book along with photos that will certainly make an impact on one’s life. As one Spirit and faith-filled believer, this mighty woman and missionary is used by God as the hands and feet of Jesus. Through her work, caring for the poor addicts, much fruit has been borne and God is revealed, displaying that He can work mightily through one person that is dedicated completely to Him. This is an inspirational work that shows just how far God’s love can reach, that His arm is never too short, and it is only pure joy to yield to God, as this one missionary has. Her ministry has produced much fruit within the community, churches and governments. The tide has changed in the way drug addicts are now treated (in some parts of India) and they now have hope and a place to go. If you would like to get involved with the support of these programs for the youth, her contact information is provided. Her ministry is a worthwhile ministry, “. . . saving that which is lost.” AMAZING! You may order your copy of Diamonds in the Dust: The Story of a Compassionate Woman in Northeast India in Kindle as download. 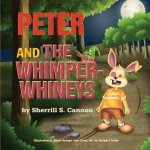 It is also available at Barnes and Noble and at other fine online bookstores.